Bradley Blackburn, who previously worked as an ABC network associate producer and for fusion.com, is now reporting for Dallas-based TEGNA8. News director Carolyn Mungo has not returned an email asking if Blackburn is a full-time staffer or freelancer. But his reports began airing this month. He had a story Tuesday night on looting in tornado-stricken Rowlett. 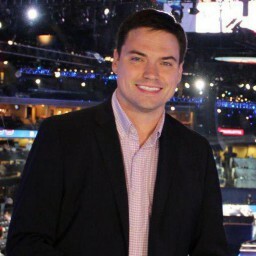 Blackburn graduated from Columbia University in 2008 with a bachelor of arts degree in political science.